Scientific discussion meeting organised by Professor Jonathan Tennyson FRS, Professor Benjamin McCall, and Professor Steven Miller. This meeting highlighted recent developments in theoretical, laboratory and astronomical studies of the molecular ion H3+and its hydrogenated cousin H5+ These developments include the first models of H5+, high-resolution studies of H3+deuterated isotopologues, ultra-cold chemistry studies, new chemical models of the Galactic Centre, and data from the space missions Cassini (Saturn) and JUNO (Jupiter). The schedule of talks and speaker biographies are available below. Recorded audio of the presentations will be available on this page after the meeting has taken place. 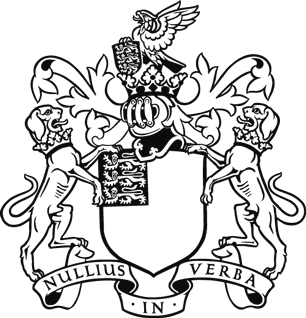 Jonathan Tennyson gained a BA in Natural Sciences from King's College, Cambridge in 1977 and a PhD in Theoretical Chemistry from the University of Sussex in 1980. 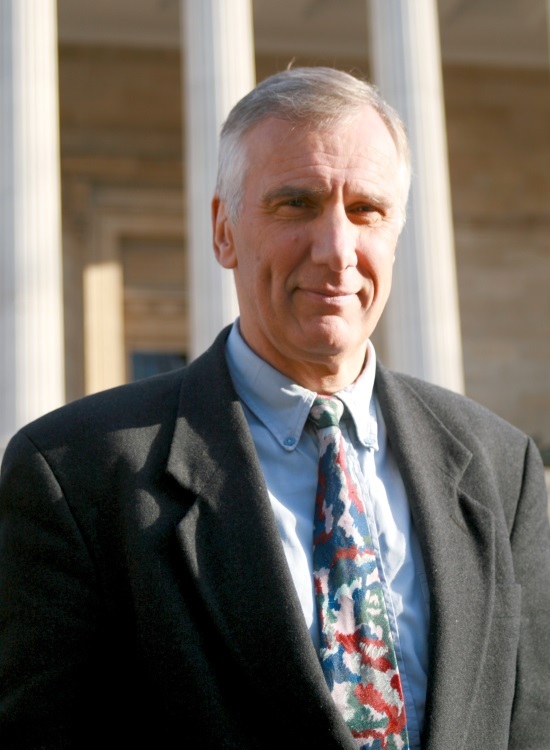 He spent a productive two years as Royal Society Western European Exchange Fellow at the University of Nijmegen in the Netherlands, In 1982 he joined the Theory Group at Daresbury Laboratory. He was appointed a “New Blood” lecturer at University College London in Theoretical Atomic Physics in 1985. He became Professor of Physics in 1994; was Head of Department in 2004-11 and became Massey Professor of Physics in 2005. He was elected an FRS in 2009. His research interests cover a range of topics on the theory of small molecules. In particular I compute spectra of these molecules (such as water) and collide electrons (and occasionally positrons) with them. He is interested in the astrophysical, atmospheric and other consequences of these processes. He recently started a new project, ExoMol (www.exomol.com), aimed at calculating comprehensive line lists for models exoplanets and other hot atmosphere. Professor McCall received his BS degree in Chemistry from the California Institute of Technology in 1995 and a joint PhD in Chemistry and Astronomy & Astrophysics from the University of Chicago in 2001. He was then a postdoctoral fellow at the University of California at Berkeley. 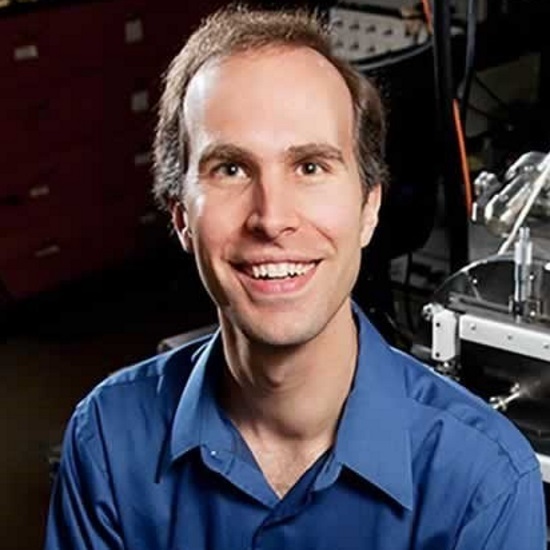 He joined the University of Illinois faculty in 2004, and holds appointments in Chemistry, Astronomy, and Physics. His research interests are in the overlapping areas of high-resolution molecular spectroscopy and interstellar chemistry, with a particular focus on the role of molecular ions such as H3+. Steven Miller is Professor of Science Communication and Planetary Science at University College London, where he is head of the Science and Technology Studies (STS) Department. As a planetary scientist, Professor Miller’s main interests lie in understanding how the atmospheres of giant planets – like Jupiter and Saturn, and some of the hot, giant exoplanets – couple with the space environment around them. He is Co-Coordinator of Europlanet RI activities supporting ground-based observations to back up space missions, outreach and dissemination. A former political journalist, Professor Miller researches issues surrounding science and society at the European level. He is Director of the European Science Communication network (ESConet: https://esconet.wordpress.com), author of The Chemical Cosmos: a guided tour (http://www.springer.com/physics/book/978-1-4419-8443-2) and co-author of Science in Public: communication, culture and credibility. The H3+ molecular ion is the simplest stable molecular ion of hydrogen. It is rapidly formed by collisions between H2 and H2+. Its role in the interstellar medium and the ionospheres of gas giant planets is now well established but careful studies of its spectra are providing valuable information on issues as diverse as the cosmic ray ionisation rate in different environments and wind speeds in planetary upper atmospheres. H3+ is the electronically simplest stable polyatomic molecule and therefore provides a benchmark system for testing high accuracy ab initio methods. While impressive accuracy has been achieved, calculations on the isoelectronic H2 molecule remain many orders of magnitude more accurate; this problem is not directly due to issues with the multi-dimensional nuclear motion problem, which is capable of high accuracy solution, but more due to treating various subtle effects in many dimensions. H5+ may seem superficially similar to H3+ but it is a fluxional molecule: one for which there is facile conversion between multiple equilibrium geometries leading to complicated and delocalised wave functions. H5+, and indeed the higher hydrogen molecular ions, thus raise their particular issues especially in terms of predicting and interpreting their spectral signatures. Reactions between ionised and neutral hydrogenic species, such as H+ + H2 or H2+ + H2, are of importance for studying hydrogen plasmas both on Earth and in the interstellar medium. These reactions also raise their own issues with fundamental physics. Modern experimental techniques, such as the ability to study atoms and molecules at extremely low temperatures, allow these processes to be studied with increasing detail, which raises new challenges for theory to address. The original discovery of H3+ is now well over a century ago but there clearly remains a whole host of issues to be studied both using and involving the molecular ions of hydrogens. The protonated hydrogen dimer, H5+, is the smallest system including proton transfer, and of longstanding interest since its first laboratory observation in 1962. H5+ and its isotopologues are the intermediate complexes in the deuterium fractionation reactions, and of central importance in molecular astrophysics. Recently, the IR spectra of H5+/D5+ and H7+/D7+ have been recorded revealing a rich vibrational dynamics of the cations, that present a challenge for the standard theoretical approaches. Although both of them are few-electron ions, which makes highly accurate electronic structure calculations tractable, the construction of ab initio-based potential energy and dipole moment surfaces has proved a hard task. In the same vein, the difficulties to treat the nuclear motion could also turn cumbersome as the dimensionality, floppiness and/or symmetry of the system increase. These systems are prototypical examples of studying large amplitude motions; as they are highly delocalised, interconverting between equivalent minima though rotation and proton transfer motions requiring state-of-the-art treatments. Recent advances in the vibrational spectroscopy of the H5+ cations and beyond will be reported from full quantum spectral simulations, providing important information in a rigorous manner, and open perspectives for further future investigations. Dr Prosmiti has more than 20 years of experience in Physics/Chemistry (Molecular, Quantum and Computational) research. 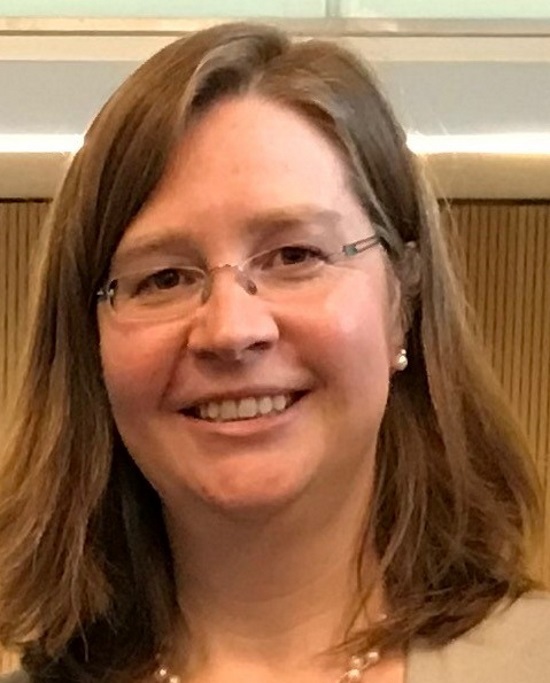 Her interests are broad, constantly adapted to international advances, and focus on the study of structural, spectroscopic, dynamic and transport properties of molecular systems from the gas to condensed phases. Along her career, she has implemented and/or developed methods to treat ionic hydrogen clusters, van der Waals complexes, doped helium aggregates, and nanoconfined molecules in clathrate hydrates and fullerenes to study their formation, spectroscopy, predissociation and photofragmentation, and more recently she carried out computational simulations on aqueous solutions, with interest in weak interactions, for studying solvation/hydration effects. Dr Prosmiti's research work has been funded by the European Union, the Greek Ministry of Education, the Engineering and Physical Sciences Research Council (UK), the Community of Madrid and the Ministry of Education and Science of Spain. She has written more than 125 articles in scientific journals of international prestige (see at Google Scholar), and participated in more than 150 international conferences. Hydrogen has played a very important role in the development of the physical sciences during the 20th century, and continues to do so into the next millennium. Although well-known from the citation of the 1932 Nobel Prize in Physics, it is probably not widely understood why the discovery of the allotropic forms of hydrogen was singled out as the most important consequence of Heisenberg’s quantum theory. In this talk, the dissociative recombination of H3+ and D5+ will be discussed. The former has been the subject of many experimental and theoretical investigations, whereas the latter has received far less attention. Molecular hydrogen in its ionised forms is continuously reinventing itself, in recent years not least by its presence in “hot Jupiter” exoplanets. 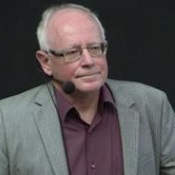 Mats Larsson is professor of physics at the Department of Physics, Stockholm University, and also director of the AlbaNova University Center, a joint enterprise between Stockholm University and the Royal Institute of Technology. He is member of the Royal Swedish Academy of Sciences and its physics class, which the awarding institution for the Nobel Prizes in Physics and Chemistry. He has a long affiliation with H3+ and wrote the first proposal for an experiment with H3+ in the storage ring CRYRING exactly 20 years ago. Needless to say, the situation concerning the recombination of H3+ was also at that time in complete turmoil. Exoplanet science is moving from object discoveries into characterisation and analysis. Transit spectroscopy has shown that exoplanet atmospheres form clouds which can be composed of minerals instead of water, and their phase curves indicate the presence of winds driven by the external, host-star irradiation. The large diversity of the more than 3000 exoplanets (of which a subclass resembles brown dwarfs) suggests that the atmospheres of these planets will differ considerably and so will their weather patterns and their chemical composition. 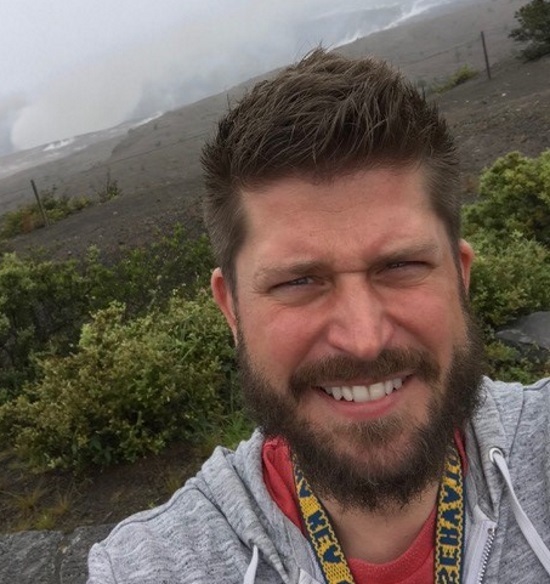 Dr Helling will present results from 3D atmosphere simulations, providing insight into the complexity of exoplanet clouds, which are the precondition for lightning to occur. Lightning chemistry calculations show the strong feedback on the local chemistry, enabling the discussion of chemical lightning tracers. The occurrence of lightning is also linked to the ionisation of the atmospheres by external radiation. Dr Helling will present results that show that external radiation can cause the formation of a global but shallow ionosphere on brown dwarfs or of a deep but locally confined ionosphere on highly irradiated exoplanets. She will discuss the emergence of H3+ resulting from Aurora on brown dwarfs. Earlier work on charge transfer in proton dihydrogen collisions demonstrated the decisive role of the seam connecting the ground and first excited potential energy surfaces of H3+. This phenomenon stems from the difference in dissociation energy between H2 and H2+ exceeding that of ionisation potential between H2 and H. While protons probe this connecting seam in a full collision, the photodissociation of H3+ is actually probing it from within, as fragments depart from the classical turning point accessed via a vertical transition from the ground state potential well. Detailed experiments have been conducted for both reactions, making extensive use of three-dimensional imaging of dissociation products, that allows for the precise determination of vibrational distributions of reactants and products. While proton dihydrogen charge transfer leaves excited H2+ products in specific vibrational distributions, photodissociation of hot H3+ in the near ultraviolet produces comparatively colder H2+ products. Modelling the wavepacket dynamics along the repulsive potential surface is expected to account for the repopulation of the ground potential energy surface on its way to H2 + H+ products. The role of the connecting seam will be emphasised and its importance for the astrophysically relevant H2+ hydrogen charge transfer reaction underlined. 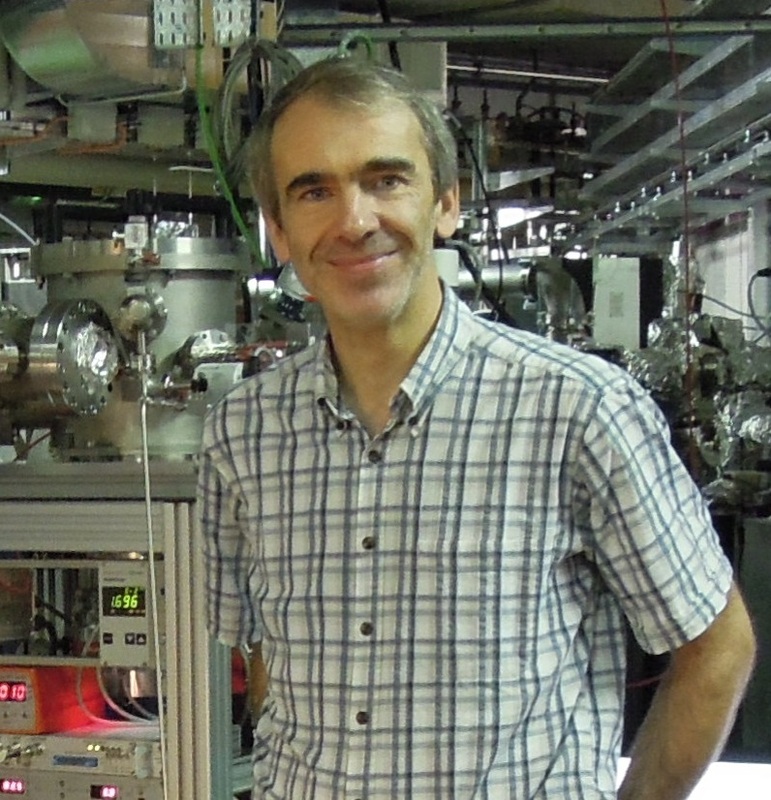 Xavier Urbain is a Senior Research Fellow of the FRS-FNRS and a professor at the Université catholique de Louvain, where he teaches atomic physics at the bachelor and master level. Trained as both an experimental and a theoretical physicist, Xavier focuses his research on collisional and radiative processes at play in astrophysical and technical plasmas, with special emphasis on the reactivity of small ionic systems. He specialized in merged and crossed beam experiments involving electrons, atoms and ions, and is active in several laboratories (UCLouvain, Columbia University, MPI for Nuclear Physics). He also conducts experiments with ultrafast lasers by bringing equipment to laser facilities (CEA Saclay, CELIA Bordeaux). Xavier has pioneered several methods allowing absolute determination of cross sections for collision- or photon-induced processes, and various approaches to multiple fragment detection. Differential measurements obtained by high resolution momentum imaging provide additional insight into the dynamics, which regularly challenge common views. Analysis of infrared absorption line profiles of H3+ toward stars in the ~300 pc diameter central molecular zone (CMZ) of the galaxy show that most of the front half of the CMZ is filled with a few million solar masses of warm diffuse gas. The variation of the velocity profiles of the H3+ lines across the CMZ demonstrate that this gas is moving radially outward from the centre at speeds of up to ~140 km/s. This is consistent with past interpretations of high velocity molecular gas observed at cm wavelengths in the galactic centre as arising in an expanding ring of gas at the outer edge of the CMZ. The characteristic time scale (r/vmax) of the expanding gas is roughly one million years, significantly less than the ages of the three clusters of hot and massive stars located near the centre, whose stellar winds and supernovae must contribute to powering the radial expansion of the diffuse gas. The observed velocities are significantly less than those found in the winds of massive stars and in supernova ejecta, suggesting that the ejected gas from stars and supernovae is impeded by the CMZ’s gas and decelerated by the gravity of its stars. Dr Geballe obtained a PhD in physics in 1974 under Professor Charles Townes at U C Berkeley. Following postdoctoral fellowships at Berkeley and Leiden, and a Carnegie Fellowship at Hale Observatories in Pasadena, he became a staff astronomer at the United Kingdom Infrared Telescope in 1981. He was Astronomer-in-charge, Associate Director, and Head of Operations at UKIRT from 1987 until 1998, when he joined Gemini. Among his research interests are the Galactic center, the late stages of stellar evolution, H3+ as a probe of interstellar gas, the composition of interstellar dust, the surfaces, atmospheres, and aurorae of solar system objects, and brown dwarfs. Cosmic rays are mysterious particles mostly atomic nuclei with extremely high energy from 106 eV (MeV) to 1021 eV (Zev). Their energy spectra for many nuclei are known in detail from the measurements on the earth. To measure cosmic rays in the galaxy, however, we need a chemical method using spectroscopy. H3+, trihydrium, provides the ideal probe for this purpose because of (1) its ubiquity, (2) simple chemistry, and (3) concise spectrum. For about 30 years from the classic paper by Spitzer & Tomasko (1968) when H+ was used as the probe, the cosmic ray ionisation rate of H2 was thought to be on the order of ζ ~ 10-17 s-1 and uniform throughout the galaxy. When in 1997 H3+ was discovered in diffuse clouds and in the galactic centre (GC), however, this picture has gone down the drain. It is now established that ζ in diffuse clouds is 10 times higher than in dense clouds and ζ in the central molecular zone of the GC is 1000 times higher. The uniformity of cosmic ray energy density throughout the galaxy which was once thought to be reasonable because of its high penetrability has been completely negated. Oka received his BS degree in Chemistry from the University of Tokyo in 1955 and a PhD for his work on microwave spectroscopy on formaldehyde in Professor Shimoda's lab in Physics of the same University in 1960. He was then a postdoctoral fellow at the National Research Council of Canada, later Herzberg Institute of Astrophysics. 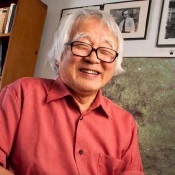 He joined the University of Chicago in 1981 jointly affiliated to the Department of Chemistry and the Department of Astronomy and Astrophysics. He joined the Enrico Fermi Institute in 1993. 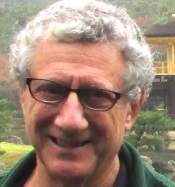 He became a professor emeritus in 2003. His research interests are in the areas of high-resolution spectroscopy and astrophysics of molecular ions, in particular, H3+ near the Galactic centre. At the low temperatures (~10 K) and high densities (~100,000 H2 molecules per cc) of molecular cloud cores and protostellar envelopes, a large amount of molecular species (in particular molecules containing C and O) freeze-out onto dust grain surfaces. It is in these regions that the deuteration of H3+ becomes very efficient, with a sharp abundance increase of H2D+ and D2H+. The multi-deuterated forms of H3+ participate in an active chemistry: (i) their collision with neutral species produces deuterated molecules such as the commonly observed N2D+, DCO+ and multi-deuterated NH3; (ii) their dissociative electronic recombination increases the D/H atomic ratio by several orders of magnitude above the D cosmic abundance, thus allowing deuteration of molecules (eg CH3OH and H2O) on the surface of dust grains. Deuterated molecules are the main diagnostic tools of dense and cold interstellar clouds, where the first steps toward star and protoplanetary disk formation take place. Recent observations of deuterated molecules will be presented and discussed in view of astrochemical models inclusive of spin-state chemistry. Models assuming complete scrambling to calculate branching ratio tables for reactions between chemical species that include protons and/or deuterons will be compared to models that assume non-scrambling, and with observations. Paola Caselli studied Astronomy at the University of Bologna, where she graduated in 1990. In 1994 she obtained the PhD in Astrophysics at the University of Bologna, after spending nine months as visiting student at the Ohio State University with Professor Eric Herbst and two years at the Harvard Smithsonian Center for Astrophysics (CfA) as a pre-doctoral fellow with Professor Phil Myers. 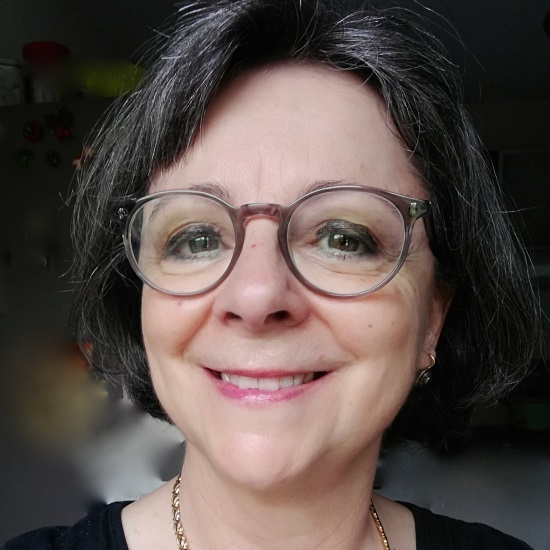 After a Postdoctoral Fellowship at CfA, in 1996 she became Researcher at the Arcetri Astrophysical Observatory in Florence, where she remained until 2005. In 2006 and 2007 she was Visiting Scholar in the Department of Astronomy, Harvard University, and in 2007 she became Professor of Astronomy at the School of Physics and Astronomy, University of Leeds. Since 2014, she is Director of the Centre for Astrochemical Studies at the Max-Planck-Institute for Extraterrestrial Physics and Honorary Professor at the Ludwig Maximilian University of Munich. 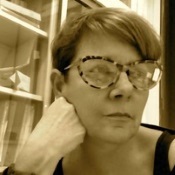 Cecilia Ceccarelli is an Astronomer at the Institute de Planétologie et Astrophysique de Grenoble (IPAG) of the Université Grenoble Alpes (UGA), in France. She started her career with a thesis on the Cosmic Background Radiation at the Università La Sapienza di Roma (Italy) in 1982. In 1987, she joined the Italian CNR and worked on Star Formation. In 2000, she moved to France, where she joined IPAG and worked on Astrochemistry. Since then, her main research focus is the chemistry of young systems that will eventually form Solar-like planetary systems. She co-authored more than 260 articles in peer-reviewed international journals and led several large international projects. In 2006, she received the prize Irène Joliot-Curie Femme Scientifique de l'année, awarded by the French Ministère délègue à l'Enseignement Supérieur et à la Recherche. In 2017, she was awarded the European Research Council (ERC) project Dawn of Organic Chemistry. As the main infrared emitter of the ionosphere of hydrogen atmospheres, H3+ is an ideal probe for these evanescent atmospheric layers. Ionospheres are transition layers between the deeper atmosphere and outer space. As such, they are of particular importance to understand the energetic processes at work from above and below. H3+ controls the temperature of the ionosphere, by ensuring an energy balance between the infrared radiative emission and the energy input from external or internal sources. The source of heating are twofold: UV and external particle precipitation, with all the aeronomy reactions induced, and gravity waves dissipation from internal sources. Understanding the balance between these different processes is an active research field in astrophysics, for giant planets and exoplanets. The spatial variability of these phenomena is inherent to their sources: auroral precipitations, wave activity related to the dynamics, or even meteoroids. The ability to obtain high spatial resolution images in H3+ emission from ground-based telescopes is therefore of high interest for 3D models of thermal global circulation models, in association with other observational techniques (UV observations, radio occultation). Mapping H3+ emissions on giant planets will ultimately address the question of the coupling between the magnetosphere and the ionosphere. Pierre Drossart has devoted his research activity to planetology, in the field of the atmosphere of giant and terrestrial planets through infrared spectroscopy. From ground-based infrared spectroscopy on CFHT/FTS instrument, he has obtained many results on the spectroscopy of Jupiter, including the first spectroscopic detection of H3+ on Jupiter. He has participated in many planetary space missions for infrared imaging spectrometer (Galileo/NIMS, IKS/Phobos, Cassini/VIMS, OMEGA/Mars Express, VIRTIS/Venus Express, VIRTIS/Rosetta). He is currently involved in the future ARIEL mission of European Space Agency (ESA) in the infrared spectrometer devoted to exoplanets' transit spectroscopy. 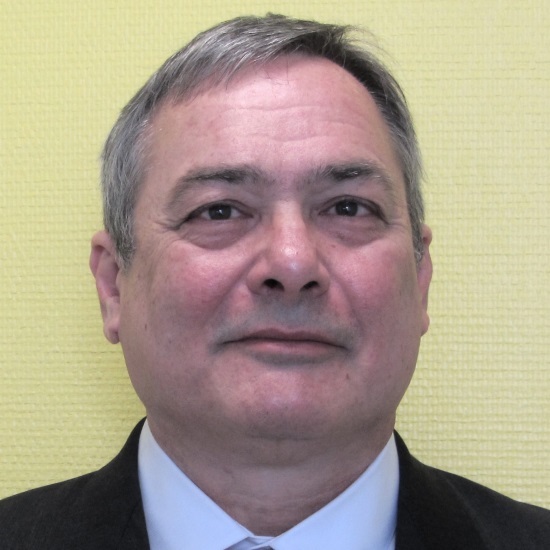 He has been head of department at LESIA (Laboratoire d'Études Spatiales et d'Instrumentation en Astrophysique) in France from 2010 to 2018. I hold an STFC Ernest Rutherford Fellowship at Lancaster University, working in the Space and Planetary Physics group. I obtained my PhD at University of Leicester and have postdoctoral experience working at Leicester and the Japanese Aerospace Exploration Agency. My research interests are planetary magnetospheres and aurorae. I have used observations by the Hubble SpaceTelescope and the Cassini and Hisaki missions to probe the space environments of Jupiter and Saturn and to understand how they are influenced by the Sun. This talk will present analysis of Saturn’s aurora taken during the final month of the Cassini space mission. Saturn was observed from two contrasted perspectives. 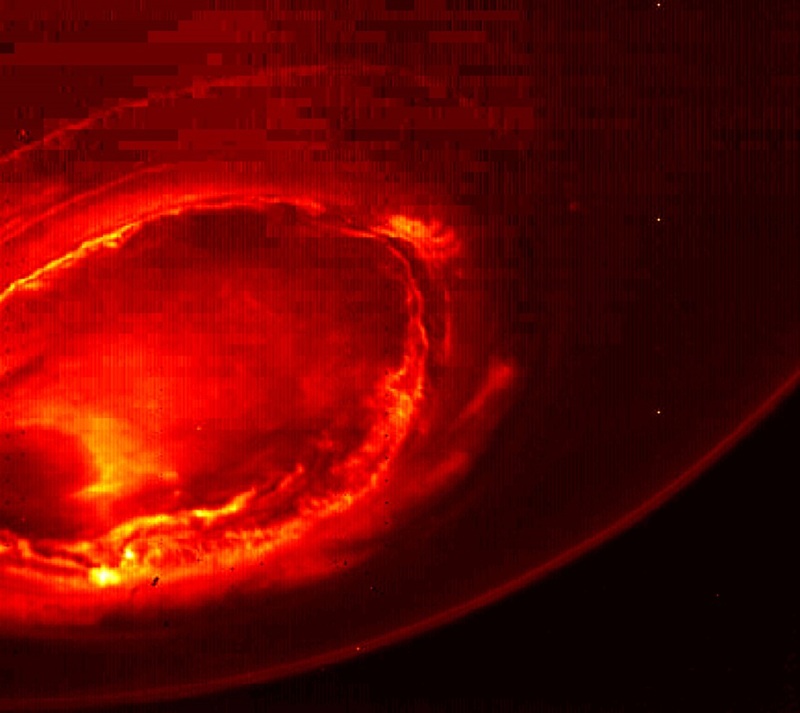 As Cassini flew in its Grand Finale orbits, sweeping closer and closer over the polar regions, the infrared VIMS instrument observed the auroral regions at incredibly high spatial resolution. In contrast to this, simultaneous observations made by the Keck telescope on Mauna Kea scanned the auroral region using the NIRSPEC instrument, providing a wider view of the entire auroral region at very high spectral resolution. The unprecedented Keck Cassini Grand Finale support programme scanned Saturn’s auroral region from Earth over seven separate orbits, providing the first ever maps of temperature and ion wind structure. This talk will describe the thermal and ion wind structures observed by Keck, comparing these with Cassini-VIMS observations of the aurora, and placing them in the context of the solar wind conditions observed during the final stages of Cassini’s mission. It will also reveal the first evidence of how Saturn’s ionospheric and thermospheric structures are controlled by changing solar wind conditions. Tom Stallard spent the first decade of his scientific career within the Physics department of University College London, having already completed an undergraduate degree in Planetary Science within the Geology department of the same university. During this time he worked under Professor Steve Miller, and together they make the first measurements of the ion winds within the upper atmospheres of Gas Giants. Tom expanded upon these investigations to include a long-term, currently ongoing, series of observations of Saturn's ion winds, using the NASA InfraRed Telescope Facility, in support of the Cassini mission. In 2007, Tom won an RCUK Academic Fellowship at the University of Leicester. Around this time, the Cassini VIMS instrument founded the British-based VIMS-MAG collaboration team, of which Tom became the lead researcher. 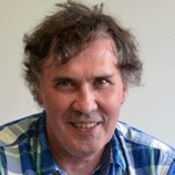 In his work at Leicester and through this Cassini collaboration, he has been involved in the production of significant findings from both the Cassini mission itself, from the associated ground-based observations, as well as a number of independent studies of the upper atmospheres of the Gas Giants. The instrument JIRAM (Jovian Infrared Auroral Mapper), on board the NASA spacecraft Juno, is both an imager and a spectrometer. Two distinct detectors are used for imaging and spectroscopy. The imager acquires Jupiter images in two bands, one of which (L band, 3.3-3.6 μm) is devoted to monitor the H3+ emission. The spectrometer covers the spectral region from 2 to 5 μm (average spectral resolution 9 nm) with a 256 pixels slit, that can observe the same scene of the L band imager with some delay. JIRAM scientific goals are the exploration of the Jovian aurorae and the planet’s atmospheric structure, dynamics and composition. Starting early July 2016 Juno is orbiting around Jupiter. Since then, JIRAM has provided an unprecedented amount of measurements, monitoring both Jupiter’s atmosphere and aurorae. In particular the camera has monitored Jupiter’s poles with unprecedented spatial resolution, providing new insights in both its aurorae and the polar dynamic. The main findings obtained by the L imager are detailed pictures of Jupiter’s aurorae showing an extremely complex morphology of the H3+ distribution in the main oval and in the moon’s footprints. The spectrometer has enabled to measure the distribution of both H3+ concentration and temperature. Bianca Maria Dinelli graduated in Physics at the Universita’ degli Studi di Pisa in 1982. 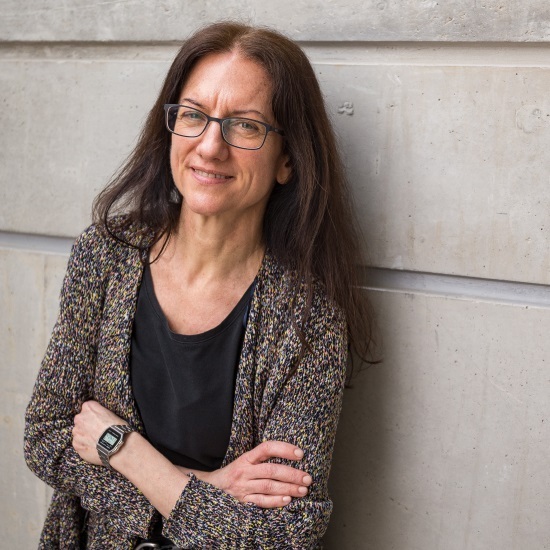 She then joined the Unita’ di Ricerca CNR/GIFCO in Firenze as scientific consultant and worked on the analysis of far-infrared stratospheric spectra. Since 1984 she has been a researcher at the C.N.R. in Bologna, first at the Istituto di Spettroscopia Molecolare and then at the Istituto di Scienze dell’Atmosfera e del Clima. She was promoted to senior scientist in 2001. She spent most of her research life on high resolution infrared spectroscopy and on the analysis of infrared and far-infrared atmospheric spectra measured by limb-scanning instruments. She was a research associate in Professor T Oka's group at the University of Chicago, USA, working on infrared spectroscopy of molecular ions, and a post doctoral research assistant at UCL, UK, working on the spectroscopic determination of potential energy surfaces of the H3+ ion and on the analysis of the infrared spectra of the impact of comet Shoemaker-Levy 9 with Jupiter. She has been responsible for the data analysis of the SAFIRE-A instrument participating to the APE-GAIA measurement campaign in Ushuaia, Argentina. Since 1995 she has been involved in several ESA projects on atmospheric research such as PIRAMHYD, the development and application of the level 2 processors for MIPAS/ENVISAT, MIPAS special observation modes and MARSCHALS, on the study of the effects of sprites on the NO2 stratospheric distribution, and on the development of novel techniques for the analysis of the (A)ATSR instrument series. She is involved in the exploitation of CASSINI/VIMS data on Titan’s atmosphere. 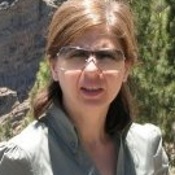 She is responsible for the Remote Sensing of the Stratosphere group in ISAC, a member of the Quality Working Group of MIPAS/ENVISAT, and responsible for the Jupiter auroral data for the instrument JUNO-JIRAM. She is associate to INAF and INFN. She is a member of the MAG for the ESA- Earth Explorer 9 candidate mission FORUM. 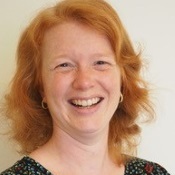 Licia Ray is a lecturer in Physics at Lancaster University. She is an expert in the coupling between planetary atmospheres and their surrounding plasma environments. Her research focuses on developing numerical models of the characteristics of the auroral acceleration region in centrifugally driven systems, auroral current systems, and the feedback between the thermosphere, ionosphere and magnetosphere. Licia is also interested in observations of auroral emissions and is a co-I on an XMM-Newton campaign to observe Jupiter, coincident with the Juno mission. She has given over 20 invited talks and seminars on MI Coupling at the Outer Planets since earning her PhD from the University of Colorado at Boulder in 2010. Emissions from the molecular ion H3+ was first discovered at Uranus in May 1992, three months before it was discovered at Saturn. Near-infrared ground-based observations can be used to monitor the physical conditions in the upper atmosphere of the planet over time. The orbital period of Uranus about the Sun is 84 years and it is expected that the seasonal and thermal time-scales are very long. Between 1992 and 2010, a period of long-term cooling was observed, from ~750 K to ~550 K. This was initially attributed to be seasonal in nature, with the expectation that the trend would reverse to a sustained period of heating at some point after the 2007 equinox. However, analysis of recent observations, obtained between 2011 and 2018, using a range of ground-based facilities, reveal that the cooling has continued. This is a surprise, and the potential reasons for this are explored in this presentation. Looking forward, the launch of the James Webb Space Telescope in 2021 promises to revolutionise our understanding of H3+ emissions from Uranus, with full disk mapping observations already in the pipeline as part of the Guaranteed Time Observing (GTO) programme. 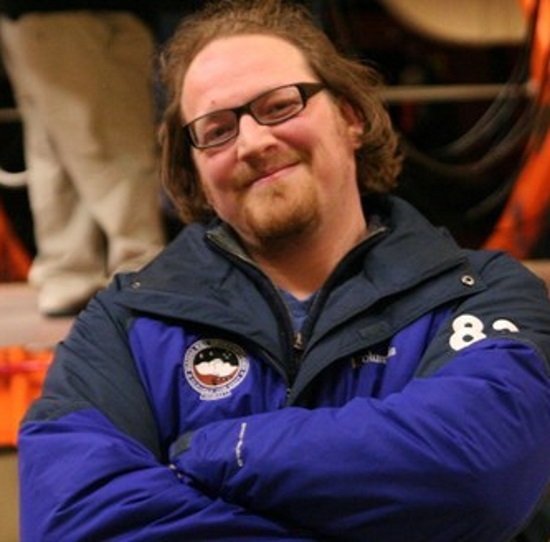 Dr Henrik Melin is an expert in analysing ground-based and spacecraft observations of the giant planets. He obtained his PhD in planetary science from University College London in 2006, working with Professor Steve Miller on ground-based infrared observations of H3+ from Jupiter, Saturn, and Uranus. Henrik spent his first postdoc in Los Angles, working on ultraviolet data from the Cassini spacecraft, mapping neutrals inside the magnetosphere of the planet. Returning to the UK in 2009, he settled in at the University of Leicester, working to combine spacecraft and ground-based observations of the giant planets, studying the entire column of atmosphere, from the troposphere, through the stratosphere and up to the thermosphere. The molecular ion H3+ has proved to be a remarkably useful probe of the upper atmospheres of the giant planets. This atmospheric region is otherwise difficult to monitor remotely, and encodes signatures of the complex coupling between the vacuum of space above and the dense atmosphere below. There are three main aspects of remote H3+ observations that provide valuable insight to models of giant planet ionospheres. First, unconstrained proton chemical loss rates lead to uncertainty in modelled electron densities. Protons, electrons and H3+ dominate giant planet ionospheres, and so constraints on H3+ densities help to reduce this uncertainty. Second, modelled H3+ densities are tightly coupled to the influxes of external material and to atmospheric mixing. Intense auroral structures near the magnetic poles are due to precipitation of energetic particles. At lower latitudes, influxes of less energetic particles, such as interplanetary dust grains or charged dust from Saturn’s rings, can modify ionospheric chemistry, leaving an imprint in the measured H3+ densities. Thus, careful modelling of H3+ observations can also provide insight into external influxes that would otherwise be difficult to constrain. Finally, H3+ observations are also one of the few means by which giant planet upper-atmospheric temperatures can be measured. Luke Moore is a Senior Research Scientist in the Center for Space Physics at Boston University. His primary research focus is planetary upper atmospheres, an important coupling region responsible for mediating the exchange of particles, momentum, and energy between atmospheres and space. He has developed numerical models of the charged regions of planetary upper atmospheres, called ionospheres, and has used those models to study Jupiter, Saturn, Earth, Titan, and Mars. In addition, he has led a number of ground-based observing campaigns, primarily in support of the Juno spacecraft at Jupiter, and more recently as PI of a newly-commissioned instrument called the Rapid Imaging Planetary Spectrograph (RIPS), which was developed to study diffuse emissions, such as the tenuous atmospheres of Mercury and the Galilean moons. 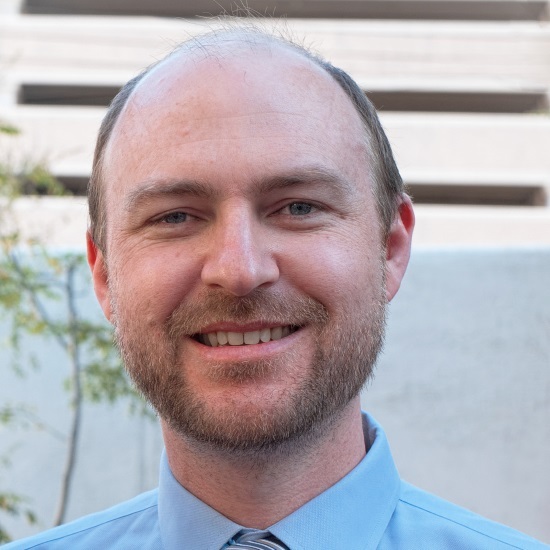 Luke is currently a Cassini Participating Scientist, a Co-I on the JUICE/RPWS instrument, and a NASA Early Career Fellow. Experiments by Carrington in 1993 probed by near-threshold photodissociation of H3+ revealed a dense and complex resonance structure that is still poorly understood and completely unassigned. Coupled with the desire to theoretically support upcoming experiments into ultracold collisions over deep potential wells, we have been developing a new theoretical framework and computational methodology to treat heavy particle collisions (e.g. H+ with H2) based on the computable R-matrix method that has proven outstandingly successful for the study of electron collisions with atoms and molecules. R-matrix theory involves the division of space into an inner region encompassing the whole collision complex and an outer region where species involved in the scattering can be separately identified. In the computable R-matrix method, the Schrodinger equation for the restricted inner region is solved once and for all for each scattering symmetry, independent of the precise scattering energy. For collisions between H+ and H2, this is particularly efficient as the H3+ potential energy surface is very deep. In the energy-dependent outer region, it is then only necessary to treat a few partial waves, facilitating propagation of solutions to extremely large inter-particle separations and high energy resolution. 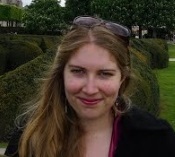 Dr Laura McKemmish is an Australian quantum chemist and molecular physicist. 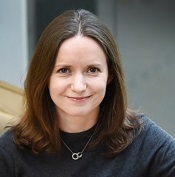 From 2016 to 2017, Dr McKemmish was a Marie Sklodowska-Curie research fellow at University College London, where she developed novel theoretical computational methodologies to treat scattering of ultracold atoms and diatomic species such as H+ + H2. In January 2018, Laura started her new position as Lecturer in School of Chemistry at University of New South Wales in Australia. Here, she is working with fantastic keen students to continue her career goals of developing innovative theoretical and computational techniques and applying these to cutting-edge problems across the sciences. The proton affinity of molecular hydrogen is small and therefore H3+ readily passes on its loosely bound proton to most other molecules in the interstellar medium. This leads to the formation of abundant molecular ions like HCO+ or N2H+ which are used as diagnostic tools in many astronomical studies. Through the same process also other molecular ions are formed. In particular protonated forms of very abundant neutral species, like O2H+, CH5+, or protonated methanol should be expected. However, the observational search for many of those ions is hampered since their spectra are not known. Recording spectra of such transient species in the laboratory is an experimental challenge. Action spectroscopy in cold ion traps as developed continuously over the last 20 years circumvents these difficulties. Here, the interaction of the ions with light is recorded by a chemical alteration of the ion cloud composition of only a few thousand mass selected, cold molecular ions by mass spectrometric means. Recent examples of spectra recorded via light induced reactions in cold ion traps and related methods will be discussed. After a study of physics in Wuppertal and Göttingen Professor Schlemmer prepared a Diploma thesis (1986) and a PhD thesis (1991) in the group of Professor J P Toennies at the Max-Planck-Institute for fluid dynamics in Göttingen working on the evaporation of water from a thin liquid jet and on inelastic and reactive collisions in a crossed beam experiment. As a post-doc (1992-1994) at the University of California at Berkeley, USA, in the group of Professor R J Saykally he searched for the origin of the interstellar unidentified infrared bands (UIR) using an IR emission spectrometer. From 1994-2003 he worked in the group of Professor D Gerlich (University of Technology Chemnitz) on the trapping of ions and nanoparticles. After his habilitation he worked as an assistant professor at the University of Technology Chemnitz. During this time they developed the methods of nanoparticle mass determination and light induced reactions as a technique of ion spectroscopy. 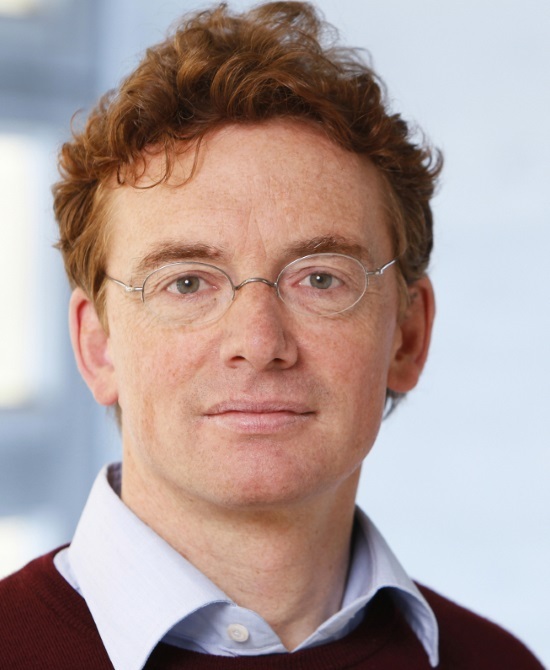 In 2003 and 2004 he was appointed as an associate professor at Leiden observatory heading the group of laboratory astrophysics. 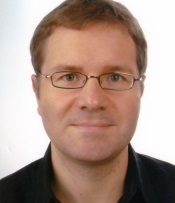 Since 2004 he has been professor for experimental physics at Cologne University. The work of his group focusses on spectroscopy of molecules in the THz and IR regime. In addition they are interested in understanding molecular collisions in various interstellar environments ranging from the cold universe, where eg isotopic enrichment prevails to circumstellar envelops where refractory species are produced at much higher temperatures. The talk will present experimental studies of molecular-hydrogen ion chemistry that exploit techniques developed in the context of research on cold molecules. In these experiments, the researchers try to characterise the elementary reactions through which the molecules H2+, H2 and H3+ are formed, in particular the reactions H2 + H2+ into H3+ + H and H + H+ into H2+ + hn. To access the temperature regime below 10 K, the researchers suppress heating effects by stray electric fields by studying the ion-neutral reaction systems within the orbit of a highly excited Rydberg electron and verify that the Rydberg electron does not significantly affect the outcome of the reactions. For this research, the researchers have, over the years, developed dedicated radiation sources and chip-based experimental platforms to control the external and internal degrees of freedom of Rydberg atoms and molecules, which will also be presented. Frédéric Merkt is Professor of Physical Chemistry at ETH Zurich, where he carries out research on atomic and molecular Rydberg states, on cold molecules, and on the structure and dynamics of molecules. For this research, his group has contributed to the development of broadly tunable, narrow-bandwidth coherent radiation sources in the vacuum-ultraviolet and sub-millimetre-wave ranges of the electromagnetic spectrum. It has also established multistage Zeeman deceleration and Rydberg-Stark deceleration as powerful tools to generate cold samples of atoms and molecules. Alexander Alijah received his PhD in Chemistry from the University of Bielefeld (Germany) in 1988 with a theoretical thesis on Photoionisation of hydrogen atoms in a strong magnetic field. From 1988 to 1990 he was a postdoc at the Department of Physics and Applied Physics of the University of Strathclyde (UK). 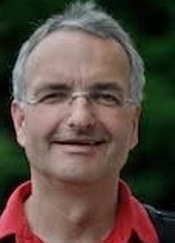 He then returned to Bielefeld, where he worked as a lecturer from 1990 to 2000. In 1996 he completed his Habilitation with a thesis on Dynamics and spectra of triatomic molecules with strong coupling between rotation, vibration and electronic motions. From 2000 to 2009 he was a researcher at the University of Coimbra (Portugal), and in 2009 professor at the Physics Department of the Federal University of Minas Gerais (Brazil). 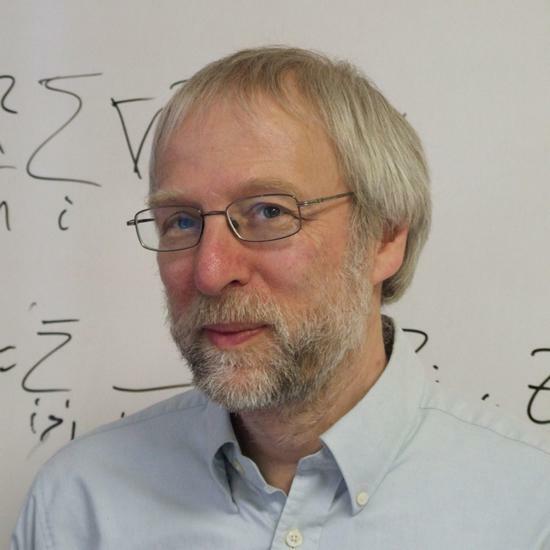 Since 2009, he is full professor of theoretical chemistry at the University of Reims (France). His main research interests are theoretical chemistry and theoretical spectroscopy of small molecules. H3+ is one of his favourite molecules. The new Cryogenic Storage Ring (CSR) at the Max Planck Institute for Nuclear Physics in Heidelberg is moving from the commissioning phase toward scientific operation. The CSR provides long storage times at extremely high vacuum and low temperatures for atomic and molecular ions of almost arbitrary mass. The experimental vacuum chambers of the CSR can be cooled down to 5K, and it has been shown that within a few minutes of storage infrared active molecular ions (eg, CH+ and OH-) will cool to their lowest rotational states by spontaneous emission of radiation. Equipped with a novel ion-neutral collision setup and a low-energy electron cooler, the CSR offers unique possibilities for astrochemical experiments under true interstellar conditions. In this talk, an overview of the capabilities of the CSR will be presented along with first experimental results. Furthermore, the potential for astrochemical studies involving H3+ (and deuterated versions of the triatomic hydrogen cation) will be discussed. Holger Kreckel earned his doctoral degree in 2003 with a thesis on "Internal Excitations of Stored Triatomic Hydrogen Ions" at the Max Planck Institute for Nuclear Physics (MPIK) in Heidelberg. During this time he worked at the heavy ion Test Storage Ring (TSR), employing a variety of experimental techniques to shed light on the internal cooling and electron recombination of small molecular ions. After two PostDocs in the United States, his interests started to focus on the formation and destruction of interstellar molecules. For this topic he was awarded a starting grant of the European Research Council in 2012, and he returned as an independent research group leader to MPIK in order to work with the novel Cryogenic Storage Ring (CSR). Other recent research interests include the chemistry of the early universe, photodetachement studies of negative ions, spectroscopy in ion traps, and Coulomb explosion imaging of chiral molecules.